in a cloud of wings. 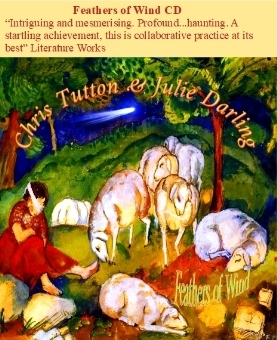 Poet, raconteur, maverick, wit; for more than twenty years Chris Tutton's books, performances and workshops have beguiled, amused, entertained and educated. Chris has performed his idiosyncratic blend of ravishing linguistic dexterity and intelligent humour throughout the UK to great acclaim, in venues as diverse as the Lyric Theatre, Hammersmith and St Peter's Church, Oundle. He has often been seen and heard on national television and radio and is a regular guest at many major literary festivals. Chris is a winner of The Sunday Times Interaction Community Theatre Award.